Susan Smith, yoga teacher, spiritual guide and author of “The Power of Yoga” has over 30 years of education and experience in health, wellness, yoga and spiritual awakening. Classically trained in the Himalayan tradition and Eight Limbed Path of Yoga, her work focuses on using ancient philosophy as guidelines for living a purposeful life. Susan founded One-Yoga, a yoga school dedicated to improving the quality of life by sharing the deep personal work and practical approach of yogic principles and practice. She has had the opportunity to study with numerous respected teachers throughout the world. Each contributed to her teaching philosophy. She developed 200, 300 & 500 hour teacher training and immersion programs founded through her multi-disciplinary studies and shares her vision and passion with students worldwide. 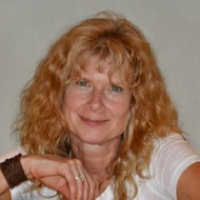 Susan holds a MSM in Health Care, MYI & ERYT in Yoga Instruction and MRT in Usui Reiki. Classically trained in the Himalayan tradition and Eight Limbed Path of Yoga.